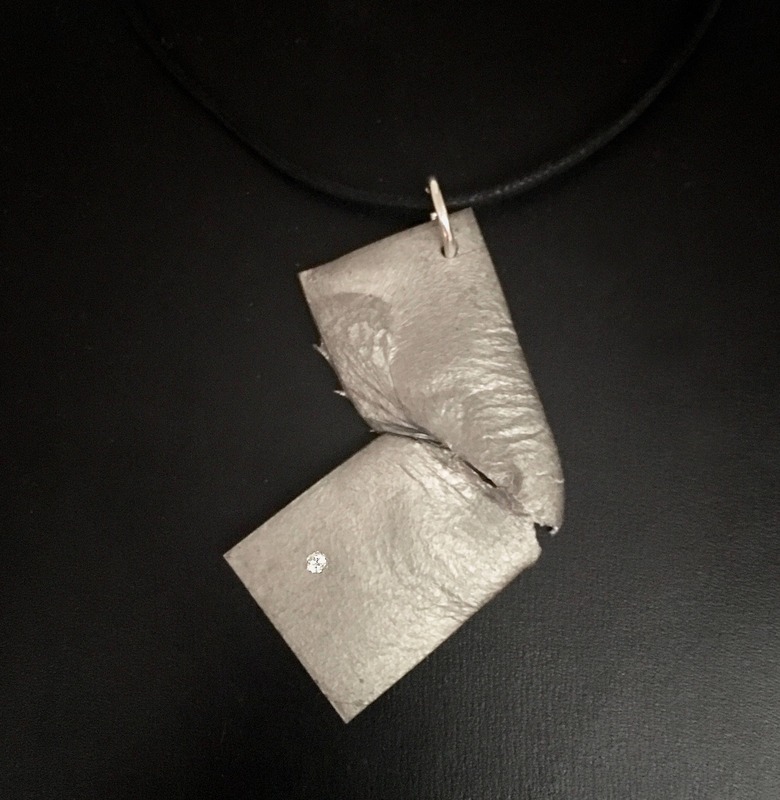 An edgy pendant features partially melted reclaimed aluminum flush-set with one round .03 ct. natural Diamond. Pendant is suspended by a Sterling Silver loop from a black cotton neckcord with Sterling clasp. Measures approx. 2 3/8” in length.